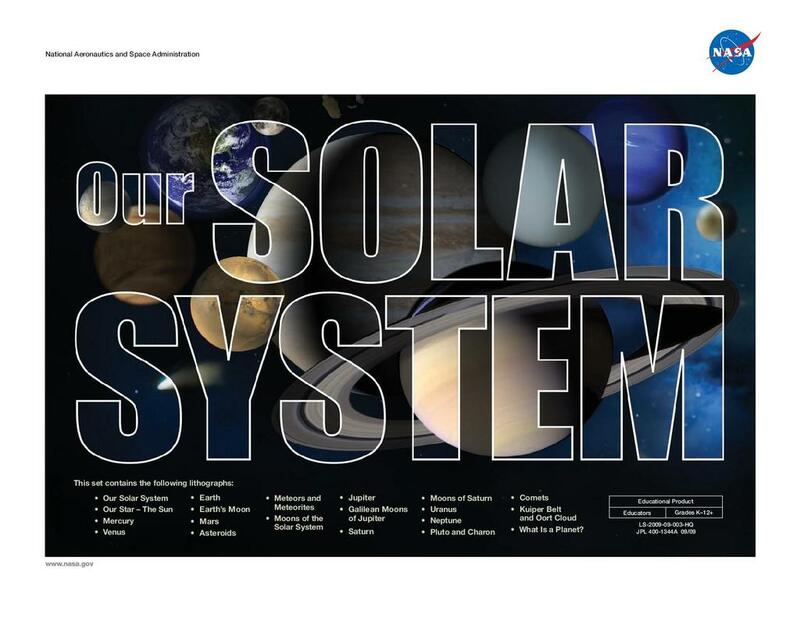 From NASA, this is a set of high quality images and information about the solar system. The set of materials features the Sun, Mercury, Venus, Earth, Earth’s Moon, Mars, Jupiter, Saturn, Uranus, Neptune, Pluto, asteroids, comets, meteors and meteorites, the Kuiper Belt and Oort Cloud, and moons of the solar system. General information, significant dates, interesting facts and brief descriptions of the images are included.